(LIFE12/ENV/ES/0902): Towards a sustainable production and supply chain for stone fruit / Hacia una cadena de producción y suministro sostenible de frutos de hueso. The project aims to improve the sustainability and the quality of the production of Stone fruit to create a more competitive and healthy sector. In the course of the project a Zero Residues (ZR) methodology will be developed. This will demonstrate that this new approach to produce, store, process and market stone fruit without residues, creates a new trend in fruit production, with higher quality, more attractive and healthier at a competitive price. On the other hand, the ZR methodology helps to improve various environmental problems generated, for example integrated pest management dramatically will reduce pesticide doses, and instead, will prevent degradation of soil and groundwater contamination. The App Zerya® Predictive Models helps to manage the protection of crops against pests and diseases from any computer or mobile device. Furthermore, the implementation of new technologies will increase the shelf life of the fruit after harvest by use of innovative micro perforated packaging and the use of atmospheric controls. As for fruit waste generated due to the imperfections of quality, this will be transformed into an interesting product for baby food factories, thus leading to new sales channels. Finally, a certificate will be developed, which can only be obtained if the production meets the requirements of zero residues. All knowledge is made ​​available to other producers in order to spread the information as much as possible. 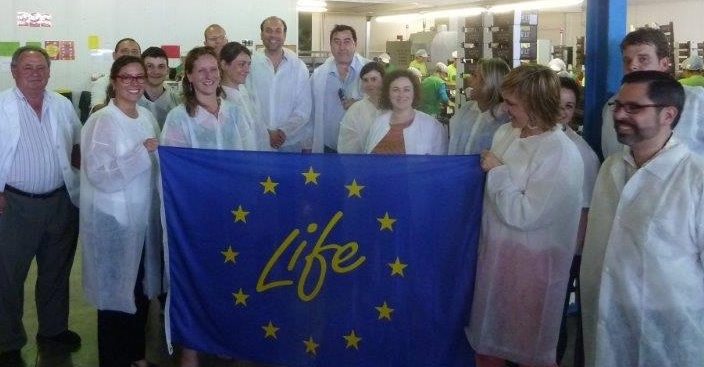 The project "ZERO RESIDUES" is co-funded by the LIFE + program of the European Union. Here you can read the official project form on Europa.eu.